You already know that the town of Falls Church, VA has a walkability score of 90. Now, let’s talk about the best bike route near Falls Church. Not only is biking great for your health, it’s also super fun when you live in this small town. Nearly every street is lined with gorgeous foliage, and when you move into your West Broad apartment (January 2016 isn’t too far away; pre-lease at West Broad now! ), you’ll be conveniently close to parks, trails, and farmers markets. We’ve created the best bike route near Falls Church (with a little help from Google Maps) that will take you straight down the Washington & Old Dominion Trail (W&OD), a 45-mile paved rail trail. Don’t worry, we’re not going for the whole 90-mile trip! If you don’t have a bike yet, stop at the Falls Church Bike Club and pick out your bike-soulmate. Make sure your bike tires are aired up, gears are properly maintained, and that you have enough water and a substantial snack/packable meal for the journey. Need a bike checkup? Head to Bikenetic Full Service Bicycle Shop. Do all of this at least a day before you start your journey – there’s nothing worse than getting sticky and sweaty at the beginning of your ride because you got a late start. FIRST STOP: Get your java fix at Starbucks on West Broad Street. Hop on your trusty ride and make a left on Little Falls Street. Enjoy the easy half-mile ride down Little Falls Street. Make a right on the Washington and Old Dominion Trail. Continue onto N Tuckahoe Street, which turns back into the W&OD Trail. Follow the meandering path through the park (ride east toward the Custis Memorial parkway). SECOND STOP: Madison Manor Park. Congrats, you’ve made it 3.6 miles! Unpack your lunch and enjoy the greenery all around you. Make sure you stay hydrated, too. Drink up! Hop back on your bike and keep cruising alongside the parkway on the W&OD trail until you reach Bon Air Park, home to a the gorgeous Bon Air Memorial Rose Garden. Take a moment to (literally) smell the roses, and swig some more water. Time to head back! Take the same route, and make sure you take it easy and soak up the sights. By the time you reach West Broad Street, you will have biked 7.3 miles – you should feel pretty good about yourself. You’ve definitely earned a delicious meal at a Falls Church eatery (scroll down to see our favorite restaurants around West Broad). And when your apartment at West Broad opens up, you won’t have to store your bike in your room – we can set you up with a self storage unit. Ready to say adios to your car and get a feel for the neighborhood before you move in? 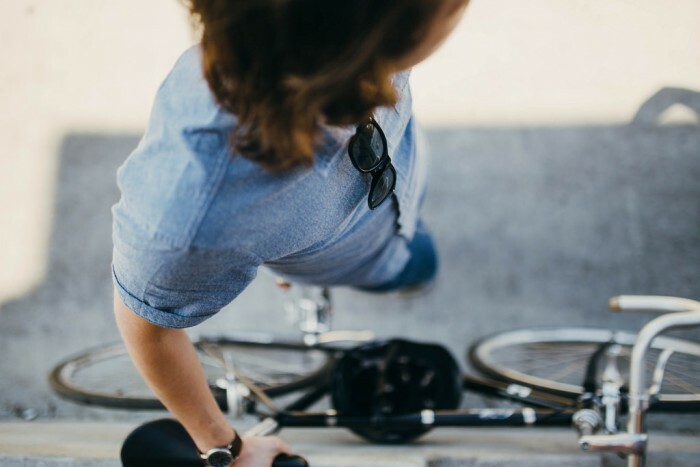 Go for a relaxing bike ride and then get in touch with us to secure your spot at the best apartments in Falls Church!